Just by the definition you can tell that most Americans have average credit. But just how does that break down in terms of those all important credit score numbers? Opinion differs on this issue a great deal but according to the last figures published by Experian, one of those big three credit bureaus the average credit score is the US is around 667, which is only just a shade over what is traditionally considered a fair credit score. That figure has fallen over the last few years as more people have been impacted by a poor economy that is not recovering as quickly as people would have liked. Just five years ago the average credit score nationally was 690, which falls into the “good’ credit category. 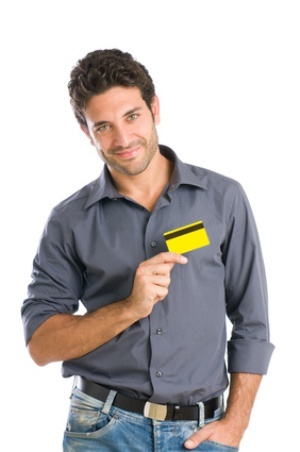 So which credit cards can be said to be attainable by those with average credit? They should be able to get a credit card but will usually have to pay higher interest rates than those with better credit and some of the best low APR and rewards cards may not be available to them. Capital One offer credit cards to people with all kinds of different credit scores. On the lowest end of the scale there is the capital one secured card which offers those with no or bad credit a credit limit that is up to three or four times their initial deposit without charging them a huge annual fee. At the other end of the scale there are offerings like the Venture One Rewards card that offer high credit limits, great interest rates and big miles rewards programs. In the middle are several cards that are offered to those with average credit. For those with average credit who are simply looking for a good basic credit card with a decent APR and a low annual fee ($39) the Capital One Classic Platinum is a great choice. It comes with a very reasonable APR of 17.9-22.9% and there is an introductory 0% APR for the first six months on both purchases and balance transfers. Its a great balance transfer card as well as there are no fees attached to such transfers where other cards can charge as much as 5% of the total amount of the transfer. If rewards cards are more to your liking then the capital One No Hassle Rewards card is an excellent option for those with average credit. The $39 annual fee is reasonable and there is a 6 month 0% introductory rate attached to the card for purchases and balance transfers. After that period interest is charged at the rate of 17.9-22.9%. Every purchase made with the Capital One No Hassle rewards card earns at least 1% cash back and gas and grocery purchases are always rewarded at a rate of 2% cash back. If you shop at Capital One’s perk Central online shopping portal you can even earn up to 15% cash back. Cash back rewards never expire and they can be cashed in for a check or direct deposit to your bank account at any time. Capital One also offer student credit cards to help students build up a credit rating. These include a student version of the No Hassle Rewards card and an MTV branded Student Visa. Another bank still willing to extend credit to those with a less than spotless credit history is HSBC via their Orchard Bank credit card program which offers both Visa and MasterCard products designed especially to help consumers build credit without having to resort to a secured credit card. Most people with average credit will qualify for the Orchard Bank Platinum Visa or MasterCard. This card comes with a $39 annual fee attached to it but unlike is the case with other orchard bank credit cards there is no processing fee. Interest rates run at between 11.90 and 19.90% APR. HSBC have also recently begun offering the Orchard Bank ecoSmarts Platinum Visa which allows cardholders to earn 1% cash back rewards that can be redeemed on a series of eco friendly products or donated to an environmental cause. Even the card itself is biodegradable so if you want a credit card for average credit that lets you give back as well as receive then this new card may be just the right one for you. Many of the other credit cards that do not require excellent credit do though require a credit score that is a shade higher than the 667 national average. The Chase Freedom Card is for example a great credit card but these days if your car edit score is less than 670 you may not qualify unless you already have a good financial relationship with Chase, that is you have a checking or savings account in good standing with them which tends to work in your favor on borderline approvals.